WiFi has been widely deployed in all aspect including universities, secondary and primary schools, and even kindergartens all over the world.It has become a fundamental infrastructure in our society.technically,WiFi could save the cost of last mile cabling and increase the number of users accessing the network within the campus. By adopting advanced Smart Antenna Technology. Our successful job reference has already proven that! KNS provides a series of solution to fit for different cultural and technical requirements of schools. Based on our experience in WiFi projects, we are able to handle various requirements in cover area, signal rate, security, application, authentication and accounting. Customers enjoy WiFi service without interruption in the signal covered area. WiFi network can integrate with the systems of building supervision, home automation and security burglary protection and etc. Providing Tailor-made WiFi solution & excellent RF planning. Experienced in handling any complex geographical terrains and harsh environment for cabling. Anyone may seamlessly access WiFi network anywhere within the campus. Provides interactivity between anyone and greatly increase the joy of studying. Provides innovative mobility over the campus and wired LAN system cannot be provided. Suitable for different terminal systems such as PDA, tablet PC, notebook PC & VoIP device. By adopting patented technology “True Reuse”, system provides the largest bandwidth to users intelligently. System provides free expandability according to future rapid development. KNS Catering WiFi solution is extremely suitable for most of the restaurants, cafeterias and bars. Our solution is able to run with catering management system on Pocket PC & link up the head office and let user to enquiry and print reports of restaurant transactions. We supports working with various POS hardware in different Fast-Food version, Barcode version and Standard Version. 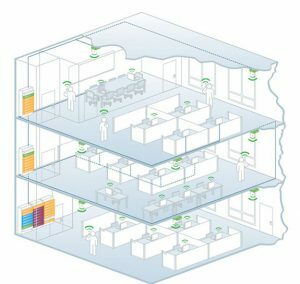 The importance of a properly designed and implemented wi-fi solution in mission critical application environments cannot be overstated. Without the key foundation of radio frequency expertise, plus an understanding of all physical elements and the it infrastructure, a wi-fi network will not deliver on the promises of efficiency, security and productivity. KNS provide the most complete solution for WiFi solutions, ranging from enterprise, ISP, education, government to telecom. can implement and install the security and encryption tools necessary to protect your data from unwelcome outsiders. The benefits of wireless can be lost if network delay, poor signal strength, and congestion prevent your users from quickly communicating and moving necessary files and information. KNS eliminates this congestion, by picking the right hardware and connections, providing customized solutions tailored to the number and needs of end users and ensuring that your wireless connections provide a user experience transparent to wired connectivity. KNS realizes wireless hot spots are good, wireless “dead” spots are frustrating. A properly designed system from NI provides ready access to users located wherever connectivity is required.